New member... just saying hello. My name is Peggy and my white mustang is a 2001 V6, his name is Jackson. You can find us around the Cincinnati area. 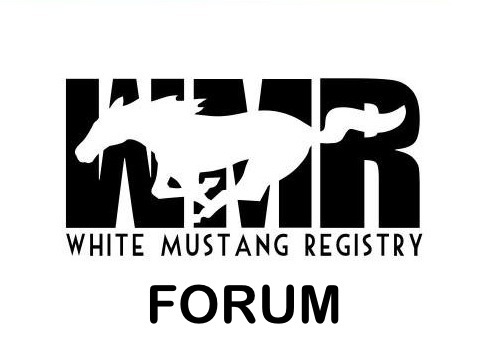 I'm happy to see there is a group dedicated to the white mustangs! Jackson loves to come out and play on sunny days and also enjoys hanging out a a cruise in or two through the week. Looking forward to checking out this site and what it offers, maybe there is a totally white mustang get together?? ?